Heavy Duty Dump Bodies | Crysteel Manufacturing, Inc. 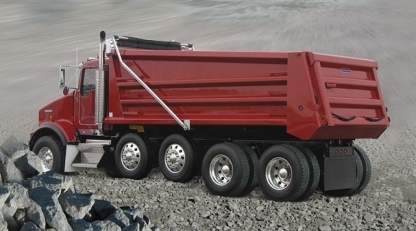 Heavy Duty Dump Bodies from DuraClass feature a patented body sidewall that is shaped into a continuous completely enclosed top rail, side and running board configuration, eliminating the outside weld below the tarp rail and preventing moisture and freeze problems. 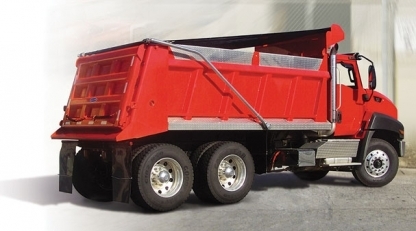 DuraClass Heavy Duty Dump Bodies offer full depth rear corner posts and oversize front corner posts for strength, durability and to keep dimensions true and rigid. DuraClass dump bodies also feature protected hidden tailgate hardware and heavy duty upper and lower tailgate hardware. 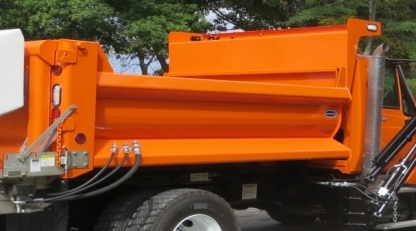 Available in many different grades of steel, stainless and aluminum with configurations and options to meet the specifications and demanding uses of municipal and construction contractors. The HPT is the industry benchmark for durability, productivity and style. With superior strength and lighter body weight, the HPT delivers more payload on the job and more profit to your bottom line. DuraClass HPT-B1 and B2, “the TUB” bodies, are a lightweight champ in a heavyweight world. The HPT-316 takes style to a new level with its sleek, clean body lines. The crossmemberless design is easier to keep clean in harsh environments where slush and salt buildup take their toll on hard-working equipment.